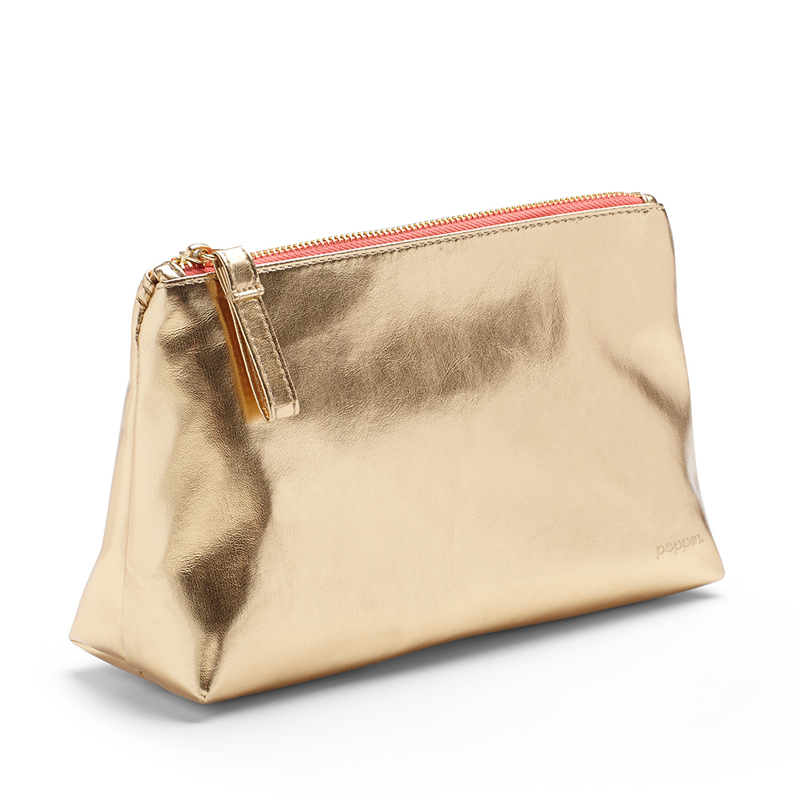 Our Medium Accessory Pouch offers first-class comfort for your charger, your mascara, or your pen collection. The perfect size to slip in a tote, it's also sturdy enough to stand up on its own as an alternative desk organizer. Best of all? An inside pocket lets you keep your littlest secrets from spilling out.